Financial gains were not as good this month, with spending be higher last month compared to January. The market was also on a bit of a slight downturn when I calculated all these numbers, and you can see that reflected across the board. 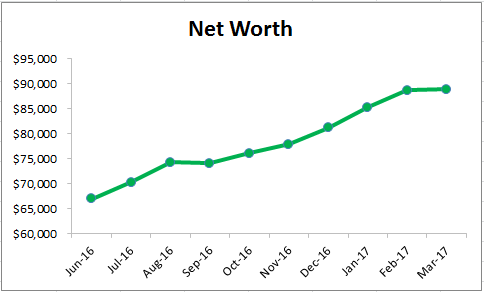 My savings account increased by $100 thanks to the automatic transfer that I have set up, and my Roth IRA also increased regardless of the market because of my contributions. You can see that with no contributions, my 401k from my previous employer is the only other account that actually went down. Car loan and new 401k both increased because of the standard payment I made as well the contributions from my previous paycheck. I’ve also decided to increase my 401k contribution from 10% to 12% for the time being, we’ll see how that works with budgeting and spending at this point. But as of now it looked like I was going to end up with an excessive amount in my checking account by the end of the year, so I decided to slow that down a bit. The nice thing is that even with all of that, I was still able to stay on the positive side of things! So let’s see how far my assets would actually take me at this point in time. I’m going to use my total spending from the previous month to calculate this. I’ll then multiply that by 12 months to get the total spending for the year, and then divide my total net worth by that amount. That’s how long I’d be able to live off my savings at that point in time. 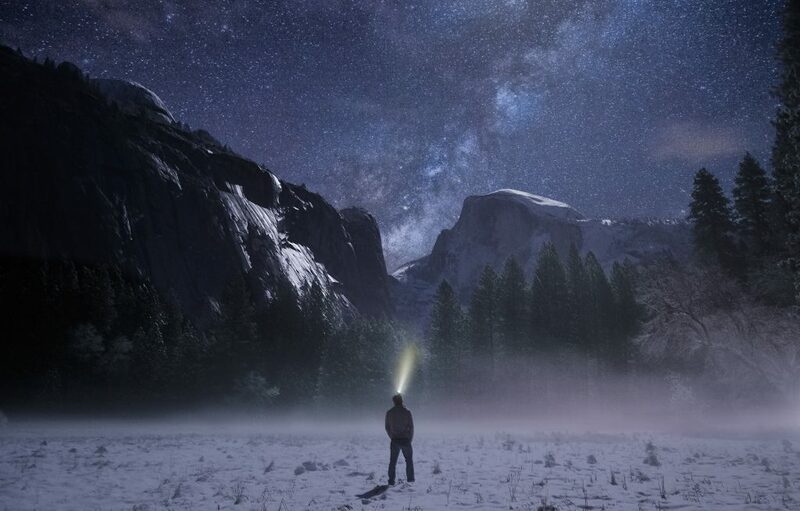 You can see from the above calculation just how important spending factors into the calculation of early retirement as much as income does. 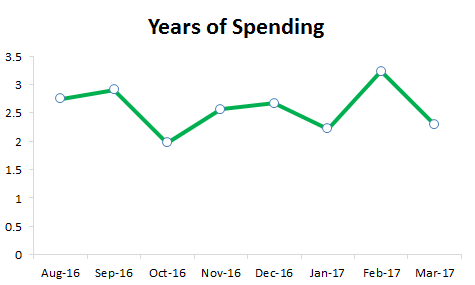 With a big spike in spending last month I’ve “lost” a years worth of spending compared to last month! It is still slightly higher than January’s number at 2.22 years of spending. I also thought it would be cool to see the opposite, how much would I be able to withdraw each month? I set the rate of return at 4% as a conservative guess, and the retirement time period would be for 30 years. I’d be able to withdraw $422 a month for 30 years which is 13.1% of my spending of the previous month. I’ve gained an extra dollar since last month, but it all adds up eventually. 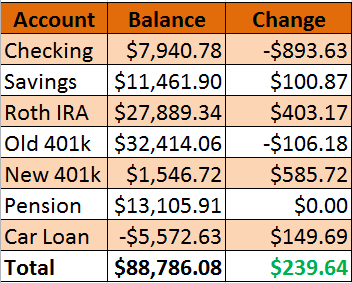 I’ve found some other spreadsheets and calculations for showing early retirement in terms of days and how much each purchase can affect that number over time. I’m going to continue playing around with those and might be incorporating that into future net worth posts. I think I also may calculate spending as a rolling average to go forward, to give myself a more accurate picture of how much I’m spending over a long period of time. It should also give a little more weight to my actual net worth number.